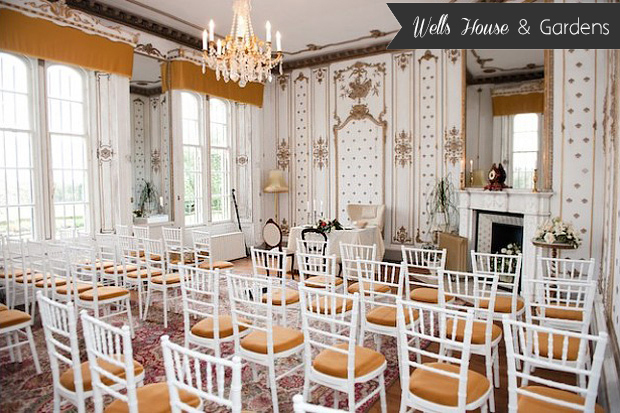 The elegant Wells House & Gardens has recently opened its doors for weddings and couples and guests alike are sure to be blown away by the grand surroundings. Built in the late 1600s, this beautiful manor house is surrounded by meandering woodland and striking terrace gardens. 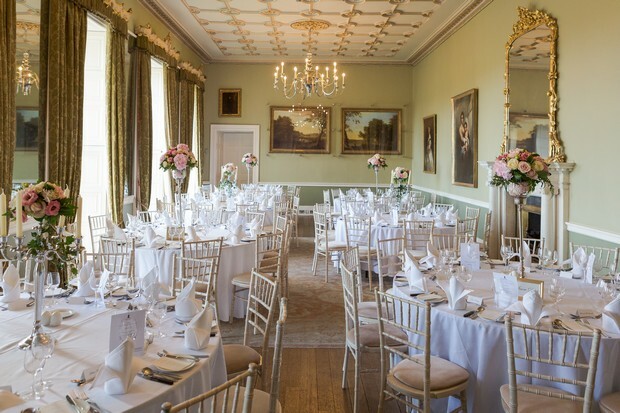 More intimate wedding parties can say ‘I do’ amongst the romantic French interiors of the Versailles room followed by a night of fine dining and dancing in the opulent Great Dining Hall of Wells House. Larger parties can enjoy all the impressive Robertson Hall has to offer. 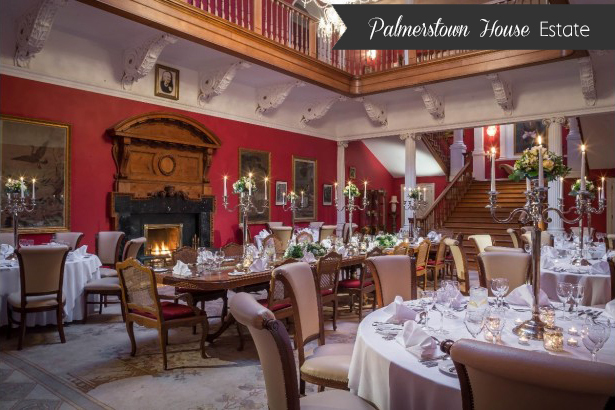 Palmerstown House Estate is set on 900 acres of beautifully manicured gardens and woodlands in Johnstown, Co. Kildare. 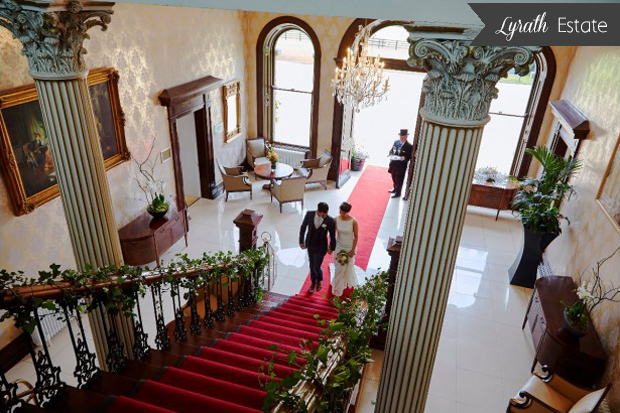 Just 30 minutes from Dublin city, this 18th Century private manor was once home to aristocracy and now offers couples a romantic setting full of history for their Big Day. It has an opulent and luxurious feel with deep red walls and huge chandeliers. They can cater for both large banquet style weddings and more intimate celebrations. 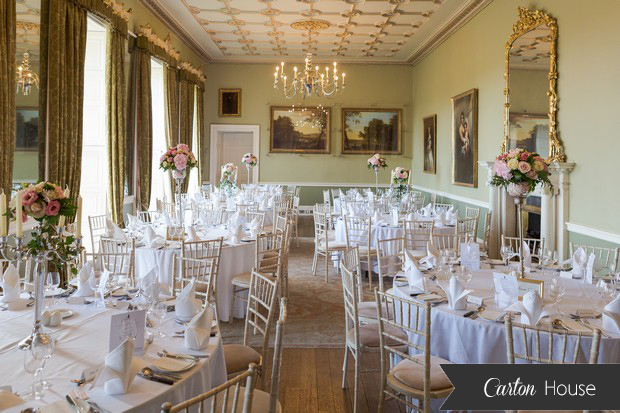 The historic Carton House is a charming wedding venue with modern luxuries nestled in 1,100 acres of stunning parkland. 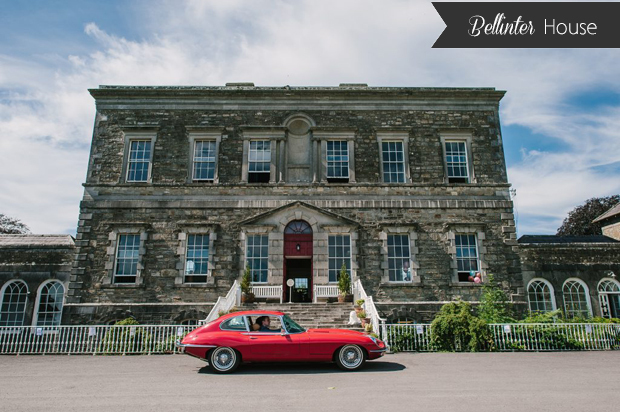 Drinks receptions and more intimate celebrations can take place in the main house – a restored 18th century Palladian mansion boasting stunning original features oozing with the wow factor. The regal Baroque interiors and matching French doors in the Gold Salon will ensure guests feel like royalty. Bellinter House is a stylish Georgian Manor House in the heart of the Meath countryside. This exclusive use venue is a gorgeous mix of informal period glamour and chic and contemporary décor, offering couples a private and luxurious setting for their celebrations. They can cater for both intimate parties and more lavish weddings – the magnificent Georgian-inspired Refectory can seat up to 180 guests and leads on to private gardens. 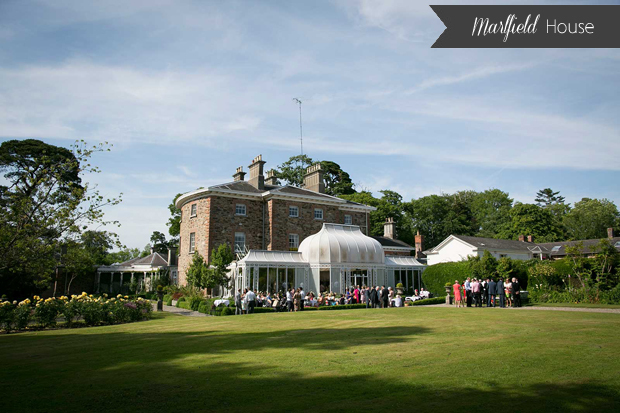 The family-owned Marlfield House is a magnificent mansion house set on 36 acres of lush green grounds that can be exclusively yours. The charming house is exquisitely appointed with open fires, historic artworks, authentic antiques, and fresh floral arrangements that create a warm, homely atmosphere. Larger celebrations take place in the candle lit conservatory dining room which overlooks the parterre garden while more intimate celebrations can drink in the elegant Print Room’s surroundings with its beautiful artwork. 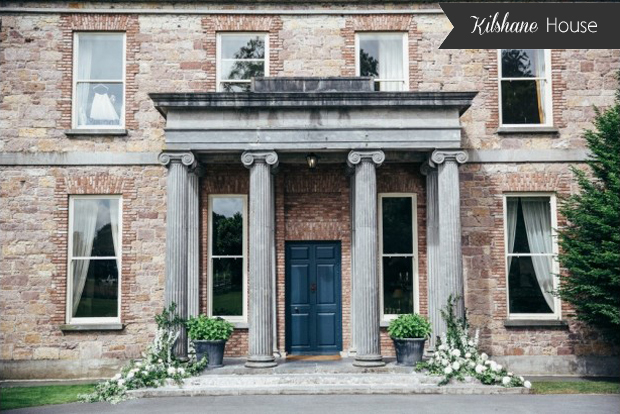 Set on 320 acres of private parkland in the heart of Tipperary, the stylish Kilshane House is the perfect blend of modern comforts and old school glamour. Built in 1822, this exclusive house can be yours for the extent of your celebrations. At its centre is the striking glass curvilinear Conservatory with fountain where you can exchange vows beneath the sky. Their formal dining room is perfect for an intimate pre-wedding feast with its elegant decor while their Orangerie is a romantic setting for receptions with up to 220 guests. The 5* K Club is a romantic resort set on 550 acres of mature woods and formal gardens in the Kildare countryside. The house was originally modelled on a French chateau and now offers couples “18th Century grandeur with 21st Century service”. Drinks receptions take place in the main house which is steeped in history and boasts beautiful period furniture and art filled walls. Couples then have their pick of reception spaces, including the tastefully decorated Legacy Suite which is in keeping with the main house. This elegant lakeside estate is just 5 minutes from Galway city. 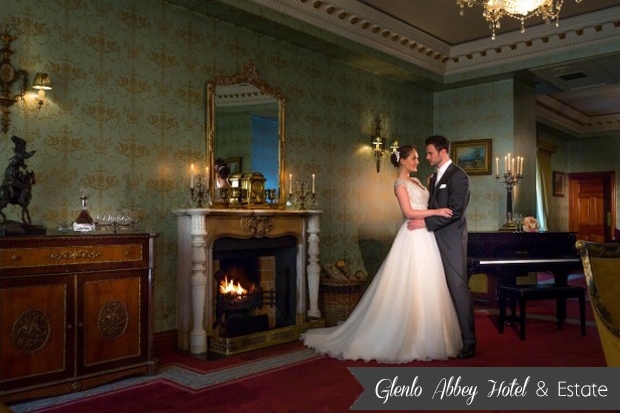 Glenlo Abbey‘s original house has the wow factor in spades from the Victorian inspired décor of the graceful Ffrench Room to the grandeur of the Corrib Suite, with its panoramic views over Lough Corrib. The adjoining 18th Century stone-cut restored Abbey is also sure to impress – it can host an intimate ceremony for up to 30 guests. Pre and post wedding celebrations can be arranged on the Pullman Restaurant aboard the Orient Express – an experience guests will always remember! Originally built in 1772, the enchanting Leixlip Manor & Gardens has been lovingly restored to reflect a time when these great homes offered the residents luxurious living. Situated on 27 acres of private parkland, the hotel boasts four acres of formal gardens, including a fully restored Victorian walled garden as well as gorgeous views of the Dublin Mountains. The Original Drawing Room of the House is an opulent setting for weddings and can accommodate up to 120 guess. 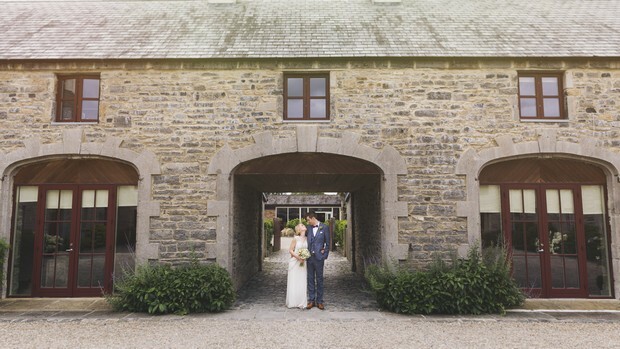 Set on 170 acres of lush green parkland and historic gardens, Lyrath Estate is the perfect blend of old and new. In addition to the modern and luxurious hotel, a lovingly restored 17th century Manor House can be found at the heart of the estate. 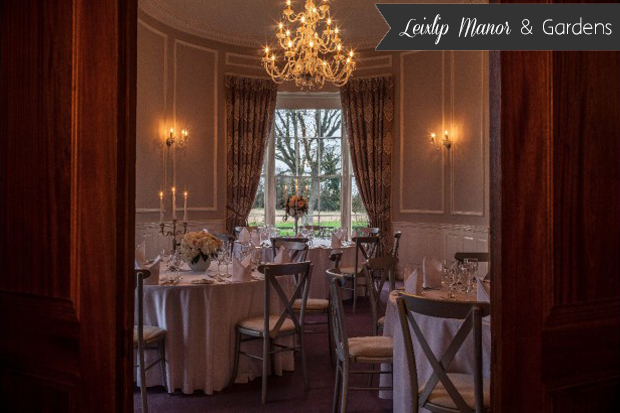 Couples can look forward to greeting guests in the old world grandeur of the manor house itself – its charming décor oozes understated elegance and the manor is a perfect, intimate setting for up to 100 guests. Larger parties take place in the equally impressive chandelier lined ballroom. Set within the confines of a beautiful 1,500 acre estate – one of the oldest surviving walled estates in Europe – this elegant Georgian Manor House in the historic Kilkenny city is a romantic setting for weddings. 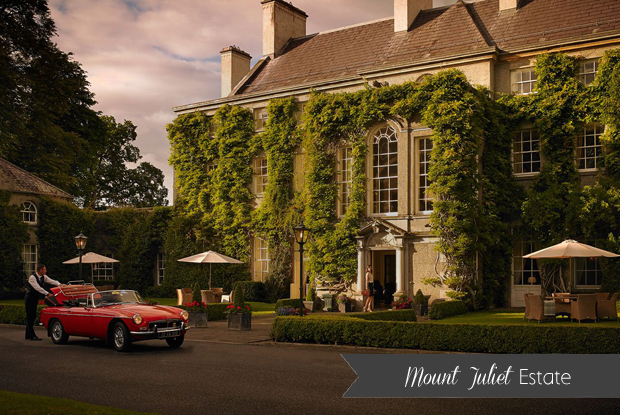 The Georgian elegance of Mount Juliet House provides a charming backdrop for intimate celebrations. It can host up to 90 guests in the Michelin Star Lady Helen Dining Room and Tetratema Parlour which have beautiful period features. 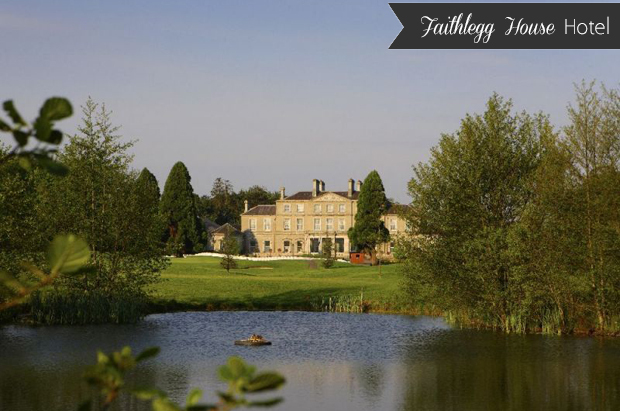 Faithlegg House Hotel is located in a stunning woodland setting with fabulous views over the Suir estuary in County Waterford. It has an impressive 17th century Georgian mansion at its heart. The house is bursting with character and boasts a beautiful grand foyer with magnificent Waterford Crystal chandelier, as well as sumptuous antique furnishings, open fireplaces and period paintings throughout. Built in the late eighteen century, this elegant Georgian House is set on 26 acres of mature gardens and woodlands that lead down to the banks of the River Shannon. 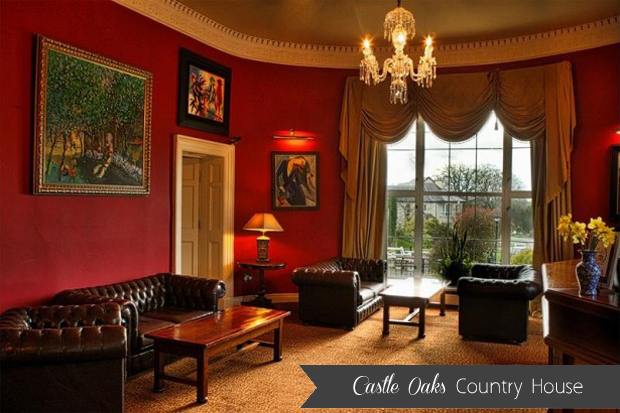 Castle Oaks Country House Hotel retains many of its original features including the magnificent original sweeping staircase and the newly renovated banqueting suite, Stradbally Suite boasts stained glass windows from the former chapel. 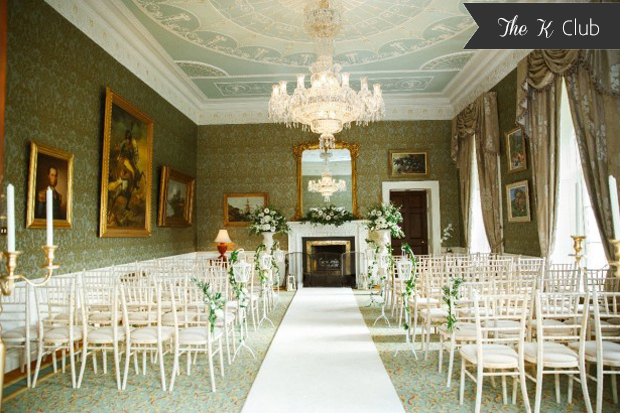 This stunning room can also be used for wedding ceremonies. 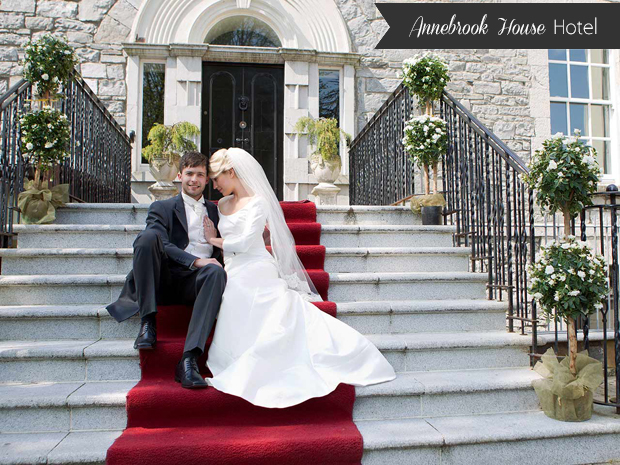 Annebrook House Hotel is a beautiful 200 year Old Georgian House located in Mullingar, Co. Westmeath – just 50 minutes from the capital. With just one wedding a day, couples can look forward to exclusive use of this fabulous venue including the old house which oozes ‘olde worlde’ charm as well as all the splendor of the new hotel. The charming house itself plus its manicured gardens provide endless photo opportunities. The idyllic Balyna House is a palatial 19th Century Italianate Mansion that is perfect for smaller, more intimate gatherings. Lovingly restored to its original splendor, it boasts beautiful period features such as the stained glass dome, ornate staircase as well as its own private Cellar Bar and has gorgeous panoramic views of the surrounding countryside. 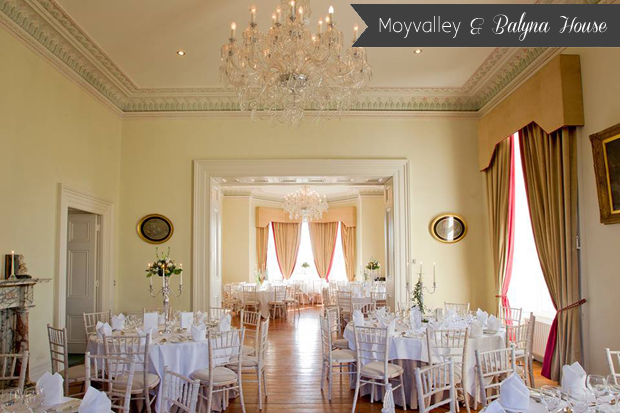 The elegant More O’Ferrall Suite can host up to 100 guests and is a charming settings for civil ceremonies too.